Channellock’s 804 4.5″ Adjustable Wrench is probably the easiest to carry adjustable wrench I own. It is only 4.5″ long but is also very slim overall making it easy to drop in your pocket. It only ways about 2 ounces so it is an easy addition to any compact tool roll. The 804 can be opened wide enough to handle the 9/16″ diameter found on common 3/8″ nuts and bolts. If you are metrically inclined, it can handle a 15mm nut/bolt. It may be small but it will take care of a lot common fasteners. The quality is excellent. It is drop forged with machined flats. The laser markings seem resilient and they are easy to read. The i-beam style handle makes it small, tough, and comfortable to hold. 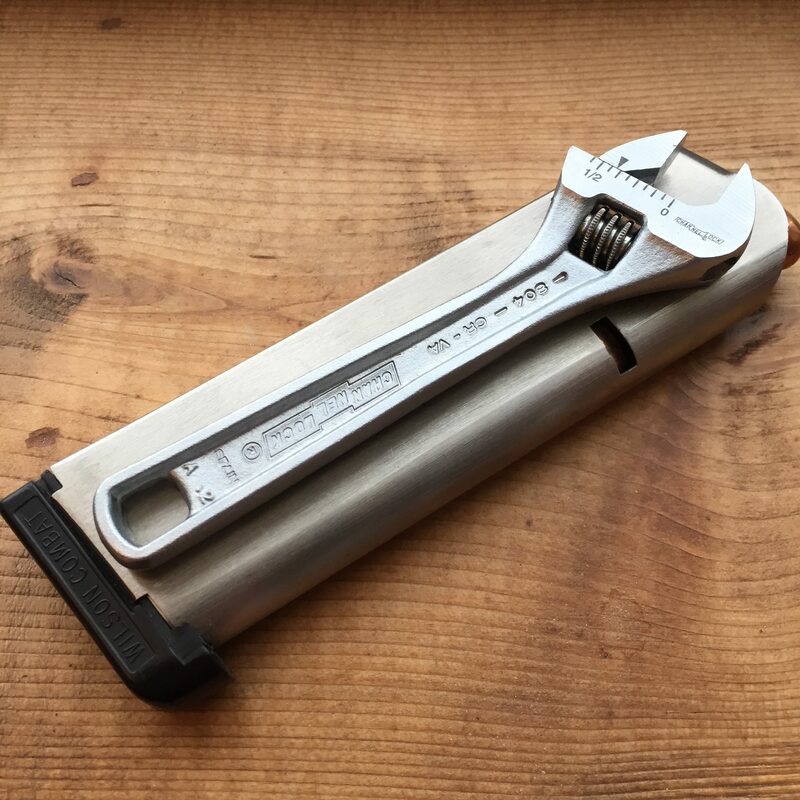 This wrench will inevitiably be compared to the two previous adjustable wrenches features on The EDC Tool Roll – the Lobster UM24 and the Knipex Pliers Wrench. I’ll post a comparison of the three soon. The Lobster and Knipex both open wider but they are also more expensive, heavier, and larger. So, the 804 may not be as versatile as the others but it earns a place in my EDC Tool Roll for its compact size and lightweight. Where to buy: I have only been able to find the larger Channellock Adjustable Wrenches locally. I purchased my Channellock 804 on Amazon. They even have a “tactical” black oxide finish version in the Channellock 804N.